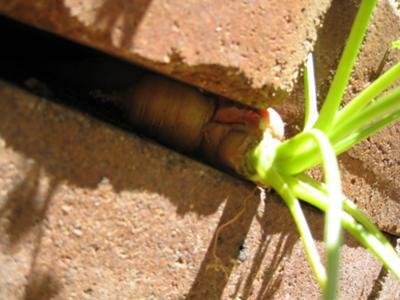 In our raised garden bed (constructed of bricks) we planted carrots. 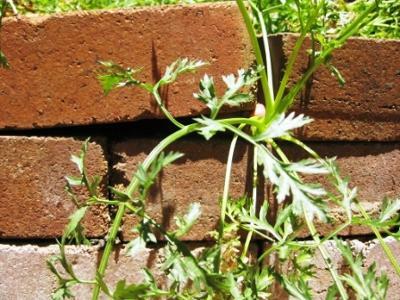 One of the seeds somehow fell between the bricks and grew. It's amazing that its even grown, as it mostly appears to be exposed, and not in soil. 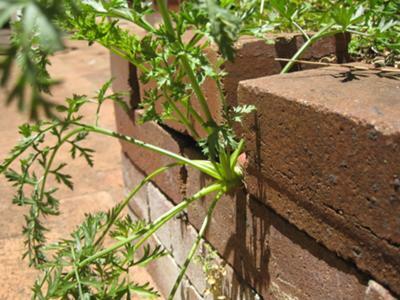 Not withstanding this, it's lifted up a brick about 2 cm and slowly is pushing it away from the other brick. We don't do anything special to it, like give it extra water than the other carrots, but it seems to be happy. Join in and write your own page! It's easy to do. How? Simply click here to return to Raised bed vegetable garden.